FC Seoul is a professional football club based in Seoul, South Korea. It is currently owned by GS Sports, a subsidiary of GS Group. The club is usually considered a powerhouse in the K-League, with financial backing from the well-known GS Group. The club is currently managed by Choi Yong-Soo. 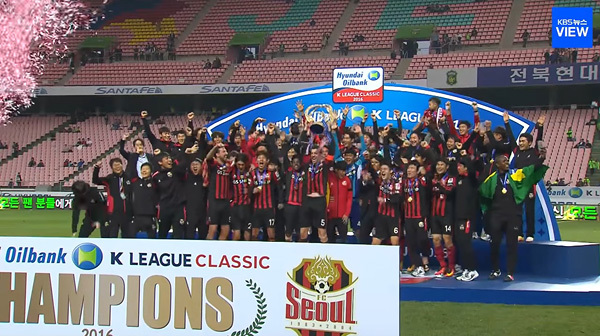 FC Seoul players celebrating after winning the 2016 K League Classic. FC Seoul Facts for Kids. Kiddle Encyclopedia.